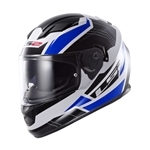 Purchase your DOT approved helmets from Leather Bound Online. 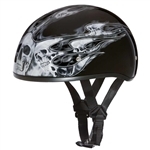 We supply a variety of styles & colors including smallest DOT beanie & motorcycle half helmets. 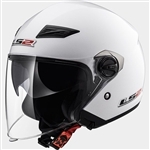 DOT motorcycle helmets are tested for safety and quality standards that are set by the Department of Transportation. 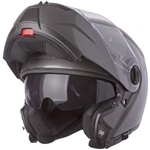 They are tested to make sure they will with-stand a crash and the proper materials are used to manufacture them. 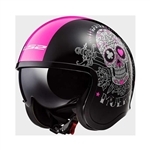 Some of the requirements are shock absorbency & crash impacts. 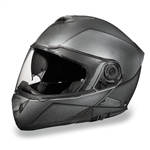 When you order a DOT approved motorcycle helmet you can be sure that you are receiving a helmet that is tested to save you life and reduce injury to your head. 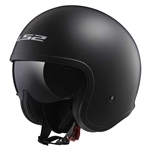 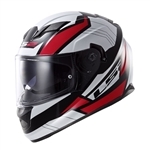 If your looking for something different be sure and look at our large selection of motorcycle helmets including novelty styles, full face, 3/4 retro styles & more! 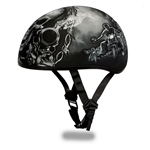 *Helmets are non-returnable, for safety reasons.